BBC Two - Primary Geography, Mountains and Coasts, Mountains and Coasts - Mountain Landscapes, How does the temperature change as you climb a mountain? How does the temperature change as you climb a mountain? 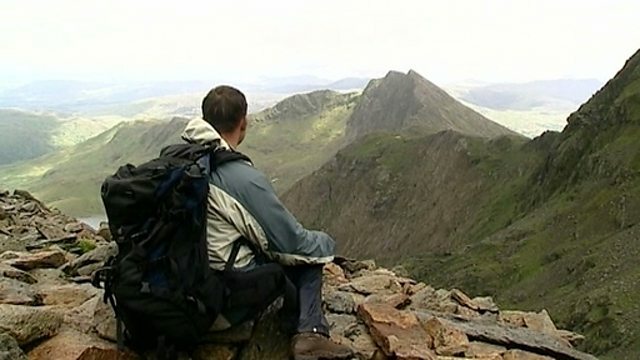 Steve Backshall climbs Snowdon in North Wales. He emphasises the importance of respecting the environment and explains how temperature changes as you climb. He records height and temperature at regular intervals with an altimeter. Weather can change suddenly so it is important to take the right survival equipment. Nothing about a mountain is static. Even views change over time as forces act on mountains to shape and form them. How do animals and people affect the mountain landscape?